Displaying 21 - 25 of 49 results matching your search criteria. Luxury 4 bed 4 bath villa, exquisitely furnished. 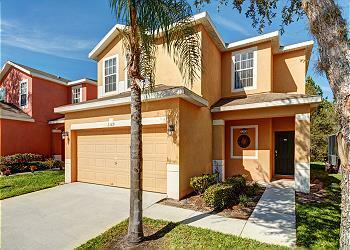 Perfect for families looking for a quality vacation villa near Disney. 2 Huge Masters with en-suites, secluded SW facing Heated Pool & Spa, Free WiFi, Harry Potter Themed Games Room, PS/XBox. 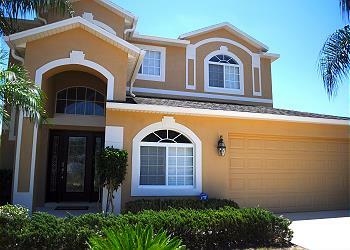 Our luxurious, modernly furnished 5 bedroom vacation home located within the sought-after, gated community of West Haven in sunny Central Florida – just minutes from Walt Disney World Resort and many other world class attractions. Whether you want to visit the multitude of Orlando theme parks with your family or plan a golf getaway with friends, look no further! This house is the ideal accommodation that will fulfill all your expectations. 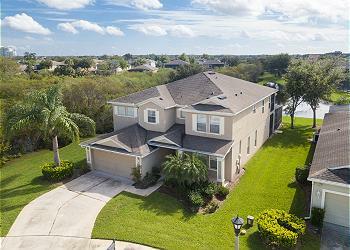 Two story home in Gated community! Game Room. Complimentary Wi-Fi! Private pool with spa. 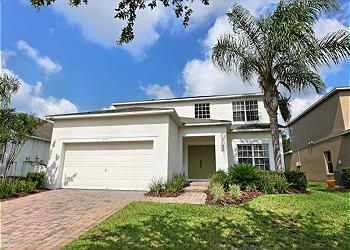 Three master bedrooms with attached bathrooms - two with upstairs balcony access. Conservation-backed for extra pool-area privacy.